Home Scrum Project Management How can I choose a specific project management methodology for my Project? How can I choose a specific project management methodology for my Project? Click on ‘+Quick Link’ and click on ‘Project’. 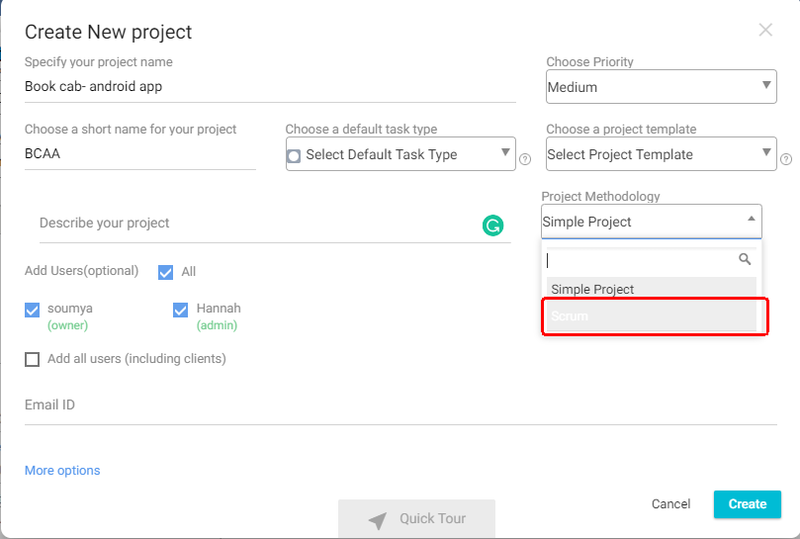 Add the project detail like Project Name, Project Short Name, Priority, Default task type etc. Further select ‘Scrum’ or ‘Simple Project’ from the Project Methodology drop down. Once all details are added, click on ‘Create’ to create the project.